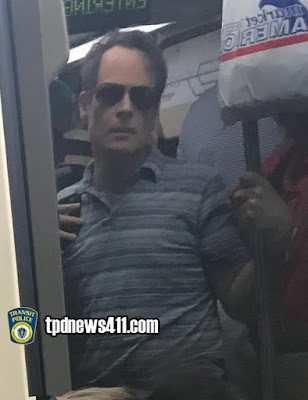 tpdnews: Please help us ID this subject of interest: Lewd/Lascivious Conduct. Please help us ID this subject of interest: Lewd/Lascivious Conduct. On Wednesday, 04/25/18, the subject depicted displayed lewd behavior on a Forge Park Commuter Rail train on the Franklin Branch and again on and Wednesday, 05/02/18, at Copley Station on the Green Line. Information is being sought relative to this subject’s identity. The subject is wanted for questioning only at this time .